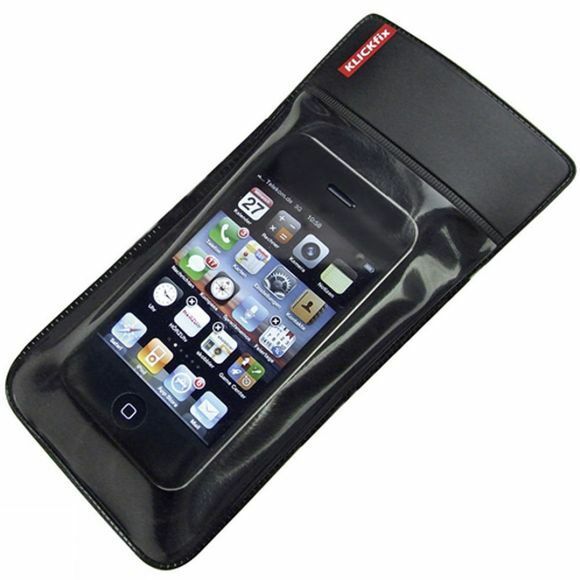 Great weather protection for Smartphones up to 7x12cm. 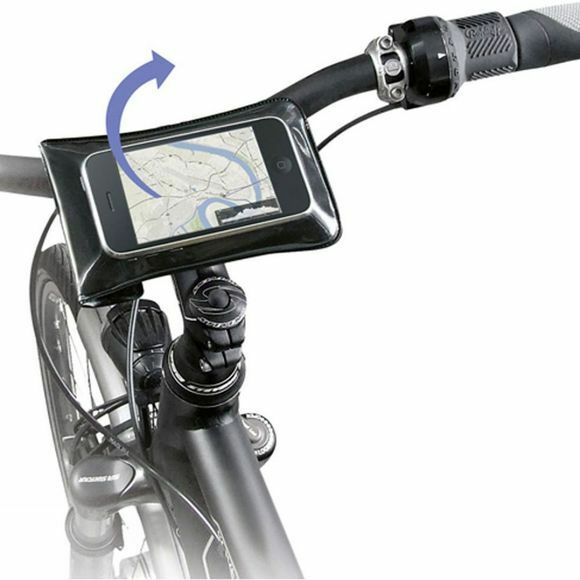 Ideal for navigation, as it is easy to see while riding and always within easy reach. The Smartphone is usable with the transparent cover on, and can quickly be adjusted from a vertical to horizontal position thanks to an integrated rotating coupling system. The phonebag is quickly and securely fixed to your bike via the KLICKfix Quad adapter and can be removed by the simple press of either of the two release buttons. The stainless steel band facilitates fixation to handlebars, stem or frame of any radius.